ATTENTION Item Sold? Please CLOSE Your Thread - Read This! Item Sold? Please CLOSE Your Thread - Read This! Once your item has been sold, Please close your thread. After your thread has been closed it will be moved the the "Marketplace Archive" section. 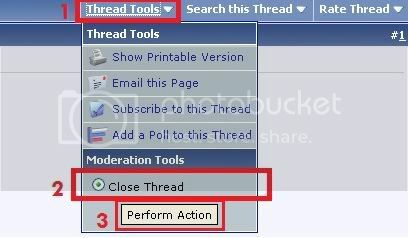 Here is how you close your threads. Closing your threads indicates to both members and the staff that your listing is no longer needed. Also, Please do not bump your threads more then once every 48 hours. Yeah Diaric, I gotta say, I'm afraid I'm going to have to give you an official warning on that.